This review explains that Bit Invested is a scam ready to take and lose your money. The Bit Invested presentation is fairly short. It only says that it is an “easy and complete solution for online trading”. 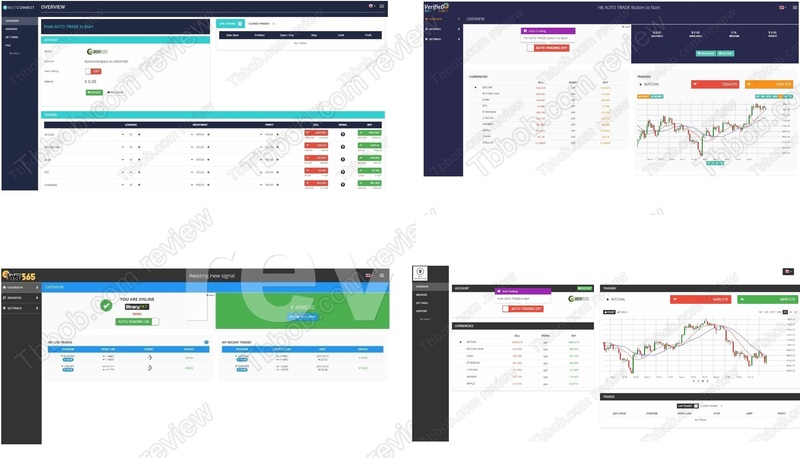 The platform is providing trading signals, so it can trade on autopilot. The home page suggests that Bit Invested is trading cryptocurrencies. So, can you make money with this robot? Although Bit Invested is not explicitly promising profits, it’s obvious that it’s supposed to make you money. Otherwise what would be the point of a losing robot, right? Well, in reality Bit Invested is a losing robot. And we know it, because it is based on a piece of scam software that has been around for years. We’ve seen this robot many times in action, recently with scams like Best Coinbot, Verified Robot and Crypto Robot 365. See the proof on our picture. So, Bit Invested is not a unique solution, it is a scam robot used by many scams. We hear a lot of negative feedback about this software from real users! Sometimes this robot even offers a demo, but the demo is fake, because it is using fake prices to generate fake profits. And one more thing, because the Bit Invested robot is providing trading signals, it is in fact providing investment advice, which makes it a solution that needs to be licensed in every country it is intended to be used in. But it of course has no license, it is an illegal software. Let us explain why scammers bother with giving away a free losing robot. It’s because the robot is designed to push you to deposit money with a scam broker called GreenFields Capital. The robot won’t be activated until you deposit money. Then the broker will take your money and you will never get anything back. Meanwhile owners of Bit Invested will get paid by the broker for referring a new depositor. End of story. Bit Invested is a scam robot that will push you to deposit moeny with a scam broker. Don’t do it! If you want to try cryptocurrency trading, do it on a free demo with a regulated broker to see how it works without risking anything. Don’t trade with real money until you have a proper strategy and a clear understanding that you can make, but also lose money.